Raymond Maguire Jr., the former top aide to now disgraced state senator Vincent Leibell, gets out of jail Friday. Maguire had been serving a fourmonth sentence in the Metropolitan Detention Center in Brooklyn. He is set to be released Friday, said C… Please login below or purchase a subscription to the Putnam County Courier to access this content. 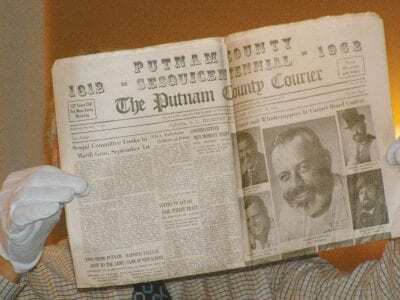 In a striking turn of events, former state senator Vincent Leibell, who will have been incarcerated for one year next month in federal prison after pleading guilty to corruption charges, was remembered Monday as a “man who did good things&rdqu… Please login below or purchase a subscription to the Putnam County Courier to access this content. 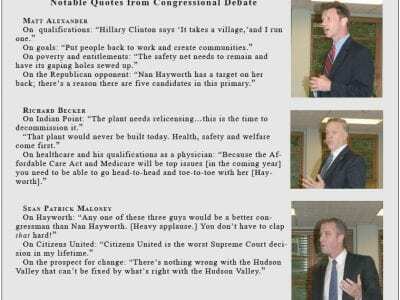 Democratic challengers to Rep. Nan Hayworth, the incumbent lawmaker in the 19th District, drew such a crowd to the Philipstown North Highlands Firehouse community room that it might have been in danger of a visit from, well, the fire departmen… Please login below or purchase a subscription to the Putnam County Courier to access this content. 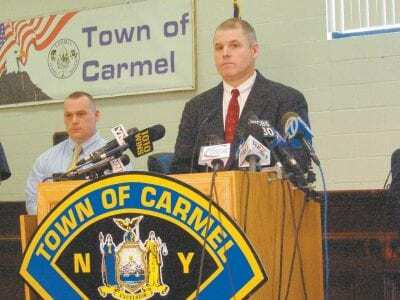 Eric Gross Police and fire officials address a news conference Thursday at Carmel Town Hall. The captain of the Putnam Fire Investigation Team, Dan Tompkins of Garrison, called it a “perfect storm.” Tompkins’ comments came last Thur… Please login below or purchase a subscription to the Putnam County Courier to access this content. 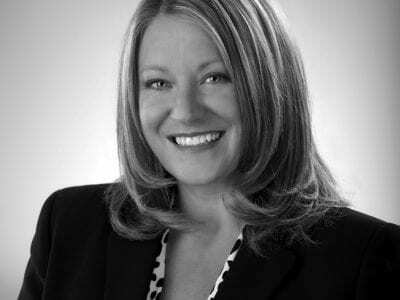 From The Chamber As I’ve mentioned several times in this column, an industry task force is meeting and beginning to share its thoughts with us on possibilities for future industry development in Putnam County, aimed at providing good jobs, lowe… Please login below or purchase a subscription to the Putnam County Courier to access this content. 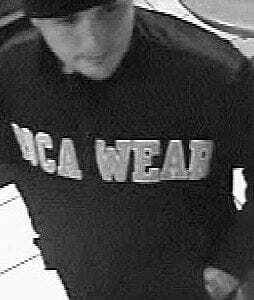 This man is wanted in connection with last month’s robbery of a Brewster delicatessen. Sheriff’s Department investigators are continuing to probe last month’s armed robbery of a Brewster delicatessen and are asking the public for he… Please login below or purchase a subscription to the Putnam County Courier to access this content. “Creativity takes courage” was the theme of Brewster High School’s 1st annual Art Exhibit involving special needs children. Teacher Sarah Cohen decided to expose her students to famous artists and their works: “I wanted the t… Please login below or purchase a subscription to the Putnam County Courier to access this content. A pasta dinner organized by teachers at the Henry Wells Middle School in Brewster has reaped great benefits for Putnam Family and Community Services—a non-for-profit organization providing mental health and chemical dependency services for peo… Please login below or purchase a subscription to the Putnam County Courier to access this content.